The mission of the Future Fisherman Foundation is to unite the sportfishing industry, a nationwide network of state outdoor educators, national conservation groups, and youth organizations dedicated to introducing America’s youth to angling and the outdoors. The Foundation recognizes the challenges and distractions facing today’s children. Research shows that our youth is more at risk than ever before, imperiled by a sedentary, plugged in lifestyle leading to early onset diabetes, cardiac risk and a total disconnect from the natural world. Through various programs, the Foundation and our partners hope to inspire our youth to engage in healthy activities promoting a deeper understanding and connection to nature and our aquatic resources. 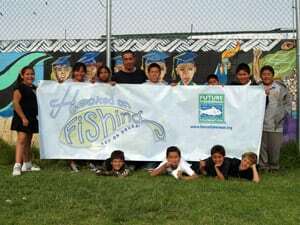 The Future Fisherman Foundation: Ensuring the FUTURE of Fishing! There is no better way to reconnect our children with nature than taking them fishing! The Future Fisherman Foundation and our partners create, facilitate, and enable community and school based programs to design and deliver hands-on fishing experiences for all children. We believe that fishing is not only a great way to get our children unplugged and engaged in a healthy outdoor activity, it is an ideal way to develop an appreciation for our fragile aquatic resources; to provide important real world experiences in the sciences and to foster a love of the out of doors. Please join with us as we work to ensure the FUTURE of fishing. Check out our Hooked on Fishing Not on Drugs curriculum and the resource page to see what types of materials are available to you. Watch for our newest program “Super Fish” designed for the Middle school classroom and an exciting series of fishing events. 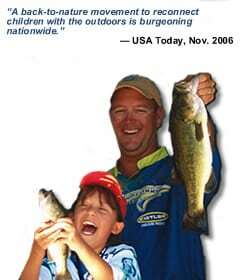 Join with us as we help to Ensure the Future of Fishing!